Most of the manufacturers in this industry have low warranty expense rates, except for those whose products use lasers or X-rays. But while their expenses are higher, they've also done the most to reduce warranty costs over the past decade. Like aerospace, the medical and scientific equipment suppliers strive for perfection. And also like the aerospace industry, their warranty expense rates are relatively low to begin with. However, there is a small group of companies whose products use lasers, X-rays, or some other form of radiation, which seems to attract warranty expenses like iron to a magnet. These companies have much higher-than-average warranty expenses. But these are also the companies with the most impressive track record of warranty cost reduction. 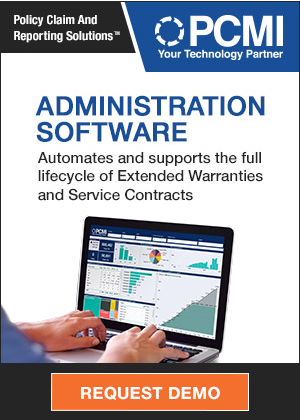 For ten years, we've been collecting the worldwide warranty expense reports of all U.S.-based medical and scientific equipment manufacturers, as well as their corresponding product revenue figures. Over that decade, we've tracked some 177 different companies in this product category, including those which have now ceased operations or have been acquired by other companies. These companies make everything from pacemakers to laboratory test equipment. Some manufacture furniture for hospitals. Some are into genetics, cancer treatments, blood storage, radiation therapy, epilepsy monitoring, or ultrasound imaging. Others make machines that can whiten teeth and freshen breath. But some of these companies are only partially medical equipment manufacturers. For instance, Radisys Corp. is best-known for its wireless telecom equipment. But it also manufactures medical imaging and surgical equipment. Planar Systems Inc. makes flat panel displays. But it also custom-builds digital display technology for hospital waiting rooms and medical offices. Some of the bedding and furniture companies also make specialized equipment used in hospitals, or at home by disabled customers. This week, we're counting them all: the ones that are primarily medical or scientific companies, and an additional bunch that are only partially so. However, that also means there is bound to be some double-counting and overlap between the data provided in this and previous newsletters. The idea is to group all alike products together, even if some could span two or more product categories, such as telecom and medical, peripheral and medical, or furniture and medical. To illustrate a specific trend within the medical and scientific equipment sector, we've further divided the 177 companies into two sub-groups. First, we're isolating 24 companies whose medical or scientific equipment makes heavy use of lasers, X-rays, or other types of radiation. Second, we're presenting separate data for the remaining 153 companies, whose products do not make use of lasers, X-rays, or other types of radiation. Let's start with the amount of claims payments these groups have reported over the past decade. In Figure 1, the annual totals for the 24 laser/X-ray and 153 non-laser/non-X-ray manufacturers are detailed. Notice that the annual total for the non-laser/non-X-ray group fell by around $9 million to $671 million in 2012, while the total for the laser/X-ray group rose by about $3 million to $126 million. Overall, claims payments by all the vendors were down about one percent to $796 million, from $803 million in 2011. The peak year for claims was 2008, when all the medical and scientific equipment companies paid out about $900 million in claims. In the four years since, 2012 ranks as the second smallest -- just below 2009's $798 million total. Despite the overall decline in claims payments, five of the seven largest medical or scientific equipment suppliers paid out more in 2012 than they did in 2011. Danaher Corp.; Agilent Technologies Inc.; Thermo Fisher Scientific Inc.; Varian Medical Systems Inc.; and Steris Corp. saw claims payments rise. The other two -- Eastman Kodak Co. and Coherent Inc. -- paid out essentially the same amount in 2012 as they did in 2011. It's not until you get further down the list to Gardner Denver Inc. and Medtronic Inc. that you find companies paying out significantly less in claims last year as compared to 2011. Still, the year-over-year change was only -$7 million, so basically all the increases and decreases balanced each other. With warranty accruals, the pattern was slightly different. Accruals were up by $9 million for laser/X-ray group and were up by $19 million for the non-laser/non-X-ray group, for a combined increase of $28 million. That equates to a 3.5% increase in the 2011 total, to $824 million in 2012. That was the highest annual accrual total for this sector since 2008, but with this metric, the peak came in 2005. Still, 2012's total was the third highest of the past ten years, and was the second annual increase in a row. Sadly, as we will see in Figure 4, accruals have grown slightly faster than product sales, leading to slightly higher accrual rates. For the non-laser/non-X-ray group, product sales were up by a little under one percent in 2012. For the laser/X-ray group, however, product sales were actually down by about three percent from 2011 to 2012. And when accruals go up but sales go down, the accrual rate rises. Fortunately, only four of the top 10 medical and scientific equipment providers saw sales fall in 2012: Coherent, Kodak, Medtronic, and Gardner Denver. And of those, only Coherent saw an increase in accruals, which was slight. Kodak and Medtronic kept accruals the same in 2012 as they were in 2011. And Gardner Denver cut their accruals by a much larger proportion than their sales decline. Of the other six top 10 equipment providers, Hill-Rom Holdings Inc. saw the biggest sales gain, while it and Steris saw the biggest accrual increases. All six, however, found reasons to increase accruals by a much larger proportion than their sales increases. In other words, the increased accruals were most likely triggered by the companies' own internal projections for future warranty expenses per product -- not by increased sales alone. If this were not so, then accruals would have risen by the same proportion as sales. For instance, Steris more than doubled its accruals from $13.6 million in calendar 2011 to $27.5 million in calendar 2012. But its product sales grew by only 4%. Clearly, it is reacting to a significant increase in warranty costs, and not to a significant increase in units sold. And indeed, its claims payments rose from $11.2 million in calendar 2011 to $24.9 million in calendar 2012. The amount set aside in accruals, minus the amount spent on claims, results in a net increase or decrease in the balance left in the warranty reserve funds of these 177 companies. As we mentioned, accruals were up by $28 million while claims were down by $7 million. However, there are additional adjustments that companies can make -- for foreign exchange fluctuations, for mergers and acquisitions, and to correct past over- or under-estimates. And this time, the net adjustments slightly exceed the size of the difference between claims and accruals. While accruals exceeded claims by $21 million, the net adjustments added up to -$21.5 million. Therefore, as can be seen in Figure 3, there was a net decrease in warranty reserves from 2011 to 2012. The decrease was only about $488,000, which is barely large enough to be noticeable. Because of rounding, however, the figures embedded in the chart seem to tell a slightly different story. But rest assured, the year-ending reserve balance for the non-laser/non-X-ray group rose from $668.257 million to $668.697 million, while the year-ending reserve balance for the laser/X-ray group fell from $100.489 million to $99.562 million. So the overall net change was indeed -$488,000. Warranty reserves have been ever-so-slowly decreasing for the medical and scientific equipment makers since they hit their peak of $849 million in 2006. This is the sixth annual overall decrease in the past six years. The laser/X-ray group has bucked that trend only twice since 2006, and the only time the non-laser/non-X-ray group has seen an annual increase in reserves was in 2008-2009. Among the top 10 warranty providers in the non-laser/non-X-ray group, only Medtronic and Boston Scientific Corp. let their warranty reserve balance drop in 2012. Among the top laser/X-ray equipment companies, only Sirona Dental Systems Inc. let its reserve balance drop last year. Varian Medical Systems Inc., the largest in the laser/X-ray group, increased its warranty reserves by $2.2 million last year. The above three charts tell the story in terms of dollar totals only. What they don't do is provide a context for the increases and decreases in terms of sales revenue. Hopefully, these next two charts will do that. In Figure 4, we've taken the claims and accrual totals for all 177 medical and scientific equipment companies and divided them by the corresponding product sales figures. For the most part, the calculations show that these vendors spent around one percent of their product revenue on warranty -- a little more back in 2003-2007 and a little less in 2008-2012. The downward slope of the red and green lines over the decade is encouraging, while the repeated annual oscillations suggest that the purchasing cycle (and associated warranty expenses) is still closely tied to the academic year (school supplies, teaching hospitals, etc.). The lowest average accrual rate ever was seen in the first quarter of 2012. Note however that the top of the 2012 cycle is a little above the top of the 2011 cycle, suggesting that warranty costs are beginning to creep back up a bit. Now, let's separate the companies into two groups: those with and without laser/X-ray functionality. In Figure 5, it's clear that there's a difference between the groups. In fact, while the laser/X-ray group is smaller in number (only 24 companies that account for only 15% of the total claims or accruals), its members spend a much higher proportion of their product revenue on warranty. There's another big difference. The non-laser/non-X-ray group, containing 153 companies and accounting for roughly 85% of the total claims and accruals, has done little over the past 10 years to reduce its expense rates. They started the decade towards the high end of the 0.5% to 1.0% range, and ended it towards the middle or low end of that range. However, the laser/X-ray group has made spectacular progress, dropping their average expense rates from 2.5% to 3.0% of revenue in 2003-2006 to 1.5% to 2.0% in 2010-2012. And rather decisively, the group ended 2012 with its lowest-ever claims rate (1.6%) and second-lowest-ever accrual rate (1.7%). It's also beginning to lose the seasonal pattern, keeping rates steady-but-declining year-round. So while the laser/X-ray group suffers from higher warranty expense rates, they're also demonstrating that they're better at both reducing and stabilizing those expense rates. Global Warranty Group to provide extended service plans to Audiogon. SCIC says extended warranties gain momentum as home prices increase. Class action lawsuit filed in Fla. against Amana and Goodman Global. Kingsway Financial Services acquires assets of Trinity Warranty Corp.
National Auto Care adds Express Pay ACH processing for dealership clients. Warrantech names Mendtronix as a nationwide service provider for projectors. YourServiceContract.com celebrates first month in business. Defect, vibration & Road Hazard Warranties on tires explained. The Warranty Group appoints Tom Kilian as chief information officer. Serial+ app for iPhone manages serial numbers and warranties. GE Capital says longer warranties can boost service, maintenance and repair packages. Sears finally schedules AC system maintenance check to keep warranty current. Global Warranty Group signs GSM Nation for Wireless Protection Program. Consumer Reports says replace water heater when the warranty expires. Home warranties gaining traction with homebuyers. Tourists bring TVs home to India but Sony and Samsung won't honor foreign warranties. Hannover Re to reinsure German energy savings warranties. Gradient Analytics report says Tesla's warranty accruals should be higher. Godfrey Hirst sues Cavalier Bremworth over Stainmaster carpet warranty fine print. Leaking planter at Devonian Gardens to be repaired under warranty. WHA Ltd & Viscount Reinsurance Co. lose UK warranty VAT tax appeal. Vantage LED offers 5-yr parts and on-site service warranty for LED displays. American Auto Guardian names Tim Brugh president; Al Ranieri becomes chairman. AppleCare plans rumored to change to "One Apple" subscriptions. Insurance company's young driver black box monitor invalidates Hyundai warranty. The Brick's extended warranties now cover bonded leather furniture. Big changes coming to AppleCare and AppleCare+ service programs this fall. Choice Home Warranty won't repair self-cleaning oven function. New sound level meter from Pulsar Instruments has 7-year warranty. Global Warranty Group to administer extended warranties for Vtechsquad. Anderson & Koch to sell Ford PremiumCare extended warranty packages. ViewCast extends warranty on Osprey capture cards to 3 years. Mega Group USA adds extended warranty and field service support staff. NB Power says Point Lepreau nuclear reactor problem to be fixed under warranty. Allianz says Pay As You Go extended warranty schemes boost customer loyalty. GM boosts warranties on pre-owned Cadillacs to 6 years/70,000 miles. Apple's gross margin declines due mostly to warranty accrual increases. Manitowoc Public Utilities says water line warranty offer not from them.